During the past few seasons the UK Championship has come in for criticism from some, with a variety of format changes having been introduced. From the shortening of matches from the best of 17 frames to the best of 11, to the introduction of the sports hall and 128 players at the venue in 2013 and now the shortening of semi-final matches this year, the tournament has certainly undergone a transformation since returning to York in 2011. 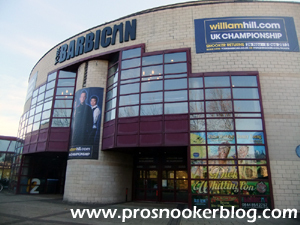 Notwithstanding those changes, the Barbican Centre remains a popular venue and with its history and a top prize of £150,000 on offer to the winner, the tournament remains one of the traditional majors and the biggest event of the season so far. 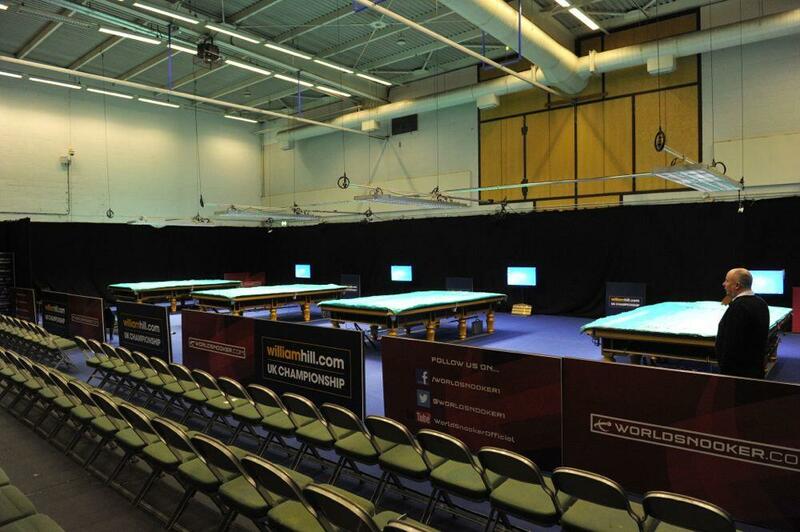 Again, the ‘sports hall’ will be used again up until the conclusion of the second round next Sunday, while there will be four tables in the arena, this year from the opening day of the event. There will also be no play on the first Friday, presumably to allow the BBC to set up ahead of the start of the televised stages on Saturday. So what can we pick out from the draw? No fewer than ten World Championships have been won by those in the top quarter of the draw and of those players it is defending champion Neil Robertson who is best placed to make it a UK double this year in York. Looking at Neil’s run to the business end of the tournament, he begins with a clash against amateur Joe O’Connor, the player who you may recall defeated Andrew Higginson 5-0 at this year’s Wuxi Classic qualifiers, after Higginson was docked three frames due to his late arrival in Gloucester. Next up we can say for sure that he will face Wilson in the second round, but will it be Gary or Kyren, who were both seeded either side of the 64 mark? Having both performed so well last season, neither have quite reached the same heights so far during 2014/15 season, but Gary will be hoping for a repeat of his run to the last 32 at the Barbican in 2013, while Kyren will be hoping to lay to rest the ghost of his black ball, 6-5 loss at the hands of Anthony McGill here a year ago. Elsewhere in this section, there could be a meeting between Peter Ebdon and Kurt Maflin in what would be a repeat of their dramatic World Championship qualifier in 2013, while there will be an all-Scottish duel between Marcus Campbell and Scott Donaldson, with Campbell badly needing a win in order to boost his chances of retaining his tour card beyond the end of the season. In the other half of the quarter we find the two most recent full-ranking event winners in Ricky Walden and Stuart Bingham, Walden beginning his quest for glory against the man who has won this tournament more than anyone else, Steve Davis. Those two are set to meet in the last 16, but another man in with a shout is Michael White, who has been a quarter-finalist in both the Shanghai Masters and International Championship events recently and begins his UK campaign against China’s Cao Xinlong. Alan McManus is another man to watch, beginning with an intriguing clash against Joel Walker, which is a repeat of their last 128 match at the Barbican Centre a year ago, when Joel memorably potted the re-spotted black in the deciding frame, only to go in-off and hand the match to Alan. Also worth keeping an eye on is Chris Wakelin, who continues to improve and a year ago defeated Ryan Day at the same venue before losing out to Jamie Burnett. Masters Watch: Robert Milkins and Graeme Dott could meet in a third round match that might have a significant bearing on who makes it to the Masters in January. 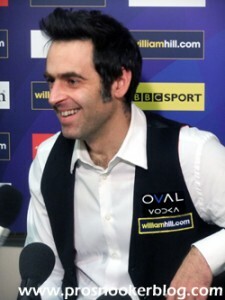 All eyes will be on Ronnie O’Sullivan in the second section of the draw, as he begins his quest for a fifth UK Championship crown with a match against Welsh amateur Daniel Wells. If he can come through that clash, either Peter Lines or Joe Swail will await in the last 64, before potentially a match with Dominic Dale, if that section of the draw goes according to seeding. Dominic begins his tournament with a clash against Tony Drago and could then meet Michael Wasley in a repeat of their last 16 match at this year’s World Championship. Elsewhere, there will not be a person at the venue or watching at home who will not be delighted to see Ali Carter back in action at a ranking event and he gets his tournament underway with a clash against China’s Zhang Anda on Thursday. 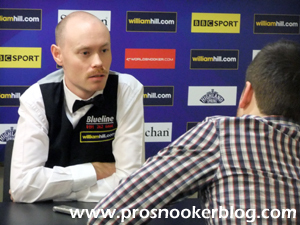 His level of competitiveness remains to be seen (I didn’t see him in action at the Champion of Champions against Neil Robertson), but as he has himself said, the pressure is now off him given his battles away from the baize in recent months. 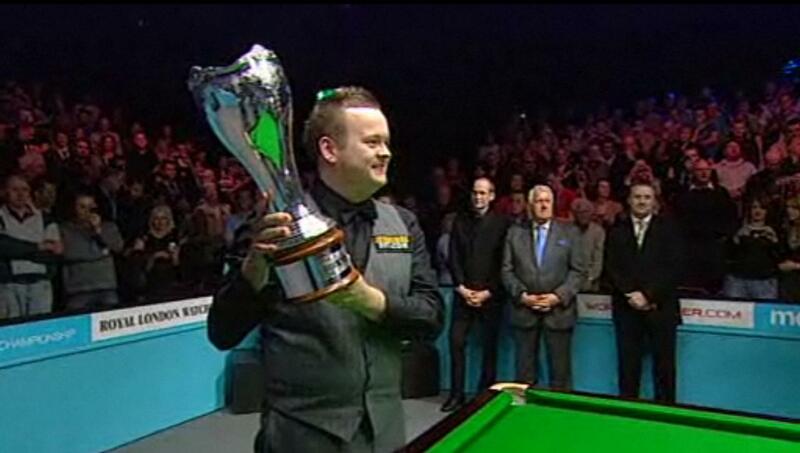 Other big names in the section include Barry Hawkins and John Higgins, both of whom see their opening matches streamed from the Barbican Centre. For Higgins of course it has been a difficult season to date and he could do with a run in order to make absolutely sure of his place at the Masters in January, while Hawkins will fancy his chances of setting up a quarter-final against potentially O’Sullivan. It is great to see Brazilian Igor Figueiredo’s name back in the draw again, although it is difficult to see him getting much change out of Fergal O’Brien, while Stuart Carrington could also be a dark horse in this section following his impressive run at the Ruhr Open this weekend. Turning to the bottom half of the draw we find former UK Champion Ding Junhui installed as third seed and hoping to find some form this season following surprise defeats at events such as the Wuxi Classic and International Championship. First up for him will be Irish amateur John Sutton, before a potential second round clash against either Jimmy White or Dave Harold, the latter making his first appearance at a professional event since August during what looks increasingly likely to be his last season as a professional. 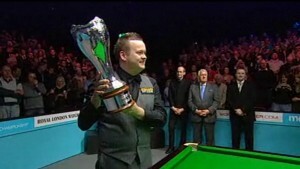 With both Mark Allen and Judd Trump in the second part of this quarter, we could be set for a repeat of their meeting in the 2011 final, although Allen in particular finds himself in a section with a number of potential banana skins, Eden Sharav awaiting him in the opening round, before a match against either Luca Brecel or the underrated Noppon Saengkham. There could also be a match between Martin Gould and the granite-like Rod Lawler, who met at the final round of last year’s World Championship qualifiers in what was a gruelling match, while Trump could have to beat both Aditya Mehta and Ryan Day to book that last 16 clash with Allen. The section also sees the first and so far only first round walkover, with Joe Perry already through to the last 64 following the withdrawal of Liu Chuang. Welsh Wizards: With Andrew Pagett, Jak Jones, Jamie Jones and Ryan Day present in this section, who will emerge as the leading Welshman from this section? Down at the bottom of the draw we find 2012 champion and current world number one Mark Selby, who begins with a clash against amateur Oliver Brown, the man who defeated Ding Junhui at the Wuxi Classic qualifiers earlier in the season and also won three matches to get to the final qualifying round of the Australian Goldfields Open. Awaiting him in the second round will be either David Morris or Li Hang, with potentially David Gilbert or Mark Joyce a potential last 32 opponent. Joining those players in this section of the draw will be International Championship semi-finalist Mark Williams, who opens against Steven Hallworth and could face either Jimmy Robertson or 16-year-old prodigy Zhou Yuelong in the last 64. Stephen Maguire is another former champion lurking in this section, while Oliver Lines will be hoping to further enhance his growing reputation with a run in York. Elsewhere, 2009 UK champion Shaun Murphy could find himself facing Thai opposition in both of his opening two matches, with James Wattana and Thepchaiya Un-Nooh present in his section of the draw, while Liang Wenbo will be hoping to build upon recent good results with a win against David Grace. 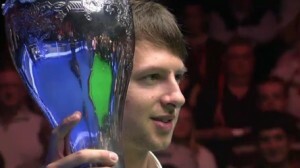 Pool star Chris Melling was able to edge out 2006 winner Peter Ebdon in Germany at the weekend and begins here with a clash against Jack Lisowski, while Marco Fu will be hoping to avoid an early exit at the Barbican against Ahmed Saif, having lost out to amateur Mitchell Travis at the first stage a year ago.